Nonya Kaya | If she can do it, so can you. Posted by thelazychef in Others. Simply because my family lovesss kaya. And it is SO simple to make! It’s actually very very simple. 10-15 pieces of pandan leaves, washed and wiped dry. 2. Measure out eggs, then beat lightly till yolk and white mixed. 3. Pour all(as in sugar, coconut milk and eggs) into breadmaker tin(like in picture above) and throw in bundles of pandan leaves. 4. Set on ‘Jam’ function. 5. Check on kaya after some time and make sure sides are mixed too. 6. When the breadmaker completes the function, take it out and cool for a while, remove all the pandan leaves, then put into a blender and blend lightly till it is smooth. *edited* The kaya will look like lumpy curdy chunks in a watery substance once the breadmaker has completed its cycle. This is NORMAL. You are supposed to blend it to acheive the smooth texture, ie, what we buy off the shelves. You may find that there might be quite a bit of water(this is just sugar water), so drain out some of this water and blend the remainder. You may add in more sugar water if you find your kaya too thick while blending. I hope this will iron out any misunderstandings about the product! 1. You may blend it till it is completely smooth too. I like my kaya with a bit of bits in it, so that you can taste the kaya bits rather than a smooth paste. 2. If you prefer a little sweeter, add another 1/4 to 1/2 cup more sugar. 3. If you cook this over the stove, you may not need to blend it since you are constantly stirring the kaya. 4. 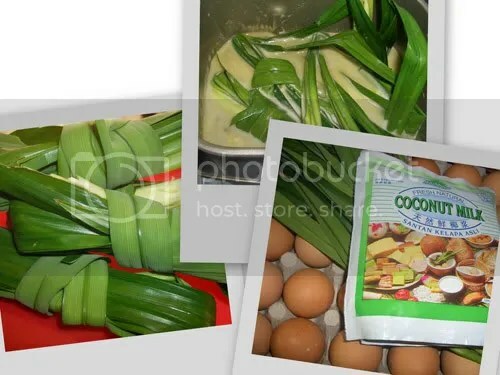 You may put in more pandan leaves if you want it to be greener… Alternatively, you may pound or blend a portion of the pandan leaves and strain it for the pandan juice and put it into the mixture before cooking. 5. If you’re cooking over the stove, the pot you’re using should NOT be warm/hot when you place the ingredients in to mix. If the pot is hot, the eggs would cook immediately, resulting in scrambled eggs! *Ask questions if you need help! Just leave me a comment and I’ll try to help! hi, i tried this, but i ended up with scrambled eggs in the breadmaker….help???:! mind me asking what brand is your breadmaker machine? i’d love to get one but don’t quite know which one should i get. My breadmaker is from Kenwood. But there are other brands out there like Bluesky, which I heard is pretty good. thank you so much for the invaluable info! i will certainly search for the bluesky brand. Hi, I also tried but ended up like “scrambled eggs” in the breadmaker….can I have the solution to this…..many thanks! 1. Did you set the breadmaker function to “Jam” function? It must be in specifically the Jam function, otherwise, it will burn the ingredients in the pan instead. 2. Was the stirrer placed properly in the breadmachine? 3. Did you put enough pandan leaves? If there are not enough pandan leaves, the kaya might have a yellow/gray colour to it. 4. It is common for the mixture to be lumpy when the jam function is complete. You must put it through the blender to smoothen it out. Hi, I’ve just finished making my kaya, and guess what, mine turn out curdy and watery. I’m using Zojirushi Breadmaker. Maybe, I’ll stick with the conventional way of cooking our double-boiler. I still find that the kaya a little too sweet. Probably, will reduce the sugar to 3/4 cup the next time. And, yes, will try using the breadmaker again :-], since I can rectify the curdy and watery effect. Glad you salvaged it! When i read your 1st comment, I was thinking to myself- she’s almost there! I hope she didn’t throw away her kaya!!! Anyway, glad it turned out okay for you! 😀 Enjoy your kaya! Will probably make it soon again with less sugar and let you know how it turns out. Till then, take care n hope to see more ‘lazy’ recipes from you. just got to know about lazy chef. Can I add to your kaya recipe. if you caramalise half of the sugar your kaya will look light brown not so white as your picture shows. It will look better and taste great. Tried your method using the Prima Breadmaker. Turns out extremely watery. Guess their jam function doesn’t work for kaya. But I didn’t throw the kaya away. Instead, I popped it into the microwave and zapped it for 30s at a time, stirring in between for about 5 times and voila, I got kaya too! hehheh. Btw, kaya is actually quite healthy coz coconut milk is full of saturated fat and this fat is good for you. Using raw sugar also ensures that you get more vitamins. Eggs are good too with dha and so on. Ha ha, so go ahead and slurp it up! I live in manila and was blown away with your kaya recipe….could you please give me the exact model number of your kenwood breadmaker…i wish to order online for it. My model is as follows: Kenwood BM200. Have fun making this delicious kaya! Hi lazychef, you’re my kind of chef, hehe. I’m always trying to ‘cheat’ in cooking. I have a Kenwood breadmaker too, if I’m not mistaken exactly the same model! I just got the ingredients and was surfing around looking for an alternative to my MIL’s recipe when I discovered this. Fantastic! Will try out and let you know how it went. I was really inspired to make my own kaya after reading your above blog entry. So when I got a Bluesky breadmaker, first thing I made was kaya! However, it didn’t turn out to be that successful…. Hopefully you’re able to help me. When I used the “jam” function, the timer was set to 3hrs+! Does it take that long? When started, the stirrer wil rotate for about 30mins then stop for a period of time then start again to stir then stop. Subsequently, when it heats up again, it doesn’t stir. After the 3hr process, I ended up with a kaya pudding with brown sides! It tastes really nice but it’s kaya I want, not a pudding! Refusing to waste it, I removed the browned bits & put the rest in the blender, only then did I get something resembling kaya, but I don’t thing kaya with browned sides is the way tho go. Was the time processs too long? Was I to scrape the edges when the stirrer was rotating? Pls help. TIA! 3 hours is indeed very long! If I remember correctly, my Kenwood jam function is only an hour long! Only my bread-making function is longer(ie: about 3-4 hours) And it stirs constantly… It never stops… So that the jam will not stick to the sides of the pan. While making my kaya, I normally check on it and stir down the sides so that it doesn’t burn and become brown. There have been occasions that I left my kaya to cook on its own, and there was brown bits, but it wasn’t alot and it didn’t turn into a pudding! Maybe next time, you can watch out for it after 1.5 hour -2 hours (since your pan doesn’t heat up until much later) and yeap, scrape the sides down to prevent it from browning at the sides. If after 2 hours and it looks cooked, stop the machine and blend the cooked mixture. Can i make the kaya without the use of breadmaker? if yes, what is the method? You can make kaya using a slow cooker as well. Or if you have lots of time, you can cook it in a pot but you’d have to stand in front of the stove stirring non-stop! And yes, even if you cook it in a slow cooker, you would need to check on it often and give it a stir every once in a while. You can leave me more messages if you need more help. i had tried the recipe and cook over the stove. Thanks Lazychef for unselfishly sharing your recipe and experience on kaya making. Without your advice on blending it, I would have thrown away 1 hour of my hard work of stirring the pot over the stove. Thanks again! Hi can I use your bread maker in the US as it is 110 voltage? i tried cooking today but the kaya doesn’t look like what is sold over the counter.I am cooking over the stove,have been stirring constantly yet it is very lumpy,more like egg bits rather than the jam.I have added the eggs and coconut milk tog over boil.Should I be pouring the eggs gradually than all in at the time? You can use pandan essence, but your kaya would not have the dull green colour that is achieved with real pandan leaves. Well, what you get after boiling is actually the sugar water, not the pandan juice. If you’re not sure about when to add the essence, you can add it when you put in all the ingredients into the breadmaker. Actually, I don’t quite understand your query, perhaps you can read the recipe again and get back to me about the pandan juice part. Sorry about that! Hi lazychef, I am very glad to discover that someone out there can help me with this problem. I am living in oversea and my husband is constantly craving for Singapore/Malaysia food. Laterly, he is craving for kaya…..sound like he is pregnant. I have tried making kaya 3times and it always end up lumpy. I have cooked them over the stove(very low heat) and I have also tried cooking it over a pot of below boiling point water. What should I do in order for me the get the texture that is posted on this page. Hi lazychef, I used to help my mum make kaya back in Malaysia by using the double boiling method. I am now in London and I don’t seems to be able to find pure coconut milk. All the coconut milk that I bought from the supermarkets or chinatown shops have water in it. My kaya ended up as scramble eggs. Any tips on the brand from fellow Londoners here. Try blending the mixture in a blender, it does wonders! may i know how much is ‘1 cup’? how many ml? 1 cup is about 250ml. Hope it helps! I tried to make kaya but why it became scambled egg when I mix all 3 ingredients (egg/coconut milk/sugar) an cook it in a pot and stir. I try 2 times but still it’s scrambled egg. I tried making kaya but why it became scambled egg when I mix all 3 ingredients (egg/coconut milk/sugar) an cook it in a pot and stir. I try 2 times but still it’s scrambled egg..
My ingredients .. 1 cup eggs, 1 cup santan and 1 cup white sugar..I cook sugar in pot over low heat till it melts, add beaten eggs and santan mixture, stirring till mixture thickens(about an hour)..
btw i used double boil method and started everything cold. then blending at the end. my wai po used this big big whisk to make and i think she used pandan juice. Thanks for the detailed recipe. One thing I was wondering, do you blend it with the pandan leaves or do you remove them after cooking? i have tried your recipe but on fire stove. It’s worked well but om two occassions the kaya turned brown instead of green. Would you happen to know why it turned brown? The sugar did not caramelised ….. This might sound silly, but do you blend with the Pandan leaves still in the mixture? My wife is from Singapore and recently returned after visiting family. She brought back a jar of FairPrice (a supermarket chain) kaya and we went through it in no time. We will try making our own in the near future and found your method interesting, though we will need to buy a breadmaker. Jen: I remove the pandan leaves after cooking. Juno: The fire you used was probably too high… ideally, you should cook it over a low flame and stir constantly… Also, you might have added too little pandan leaves. I suspect the sugar caramelised, thus, the kaya turned brown. Jon: DO NOT blend the pandan leaves into the kaya!!! Only cook it with the mixture so that the essense and colour would be left in the jam. Remove the leaves after cooking. yay kaya! i shall try this recipe. Thanks for the idea of blending the mixture in a blender!!! My family and I love your recipe. We think you are genius 🙂 We used to fly “Kaya” from home to New Jersey everytime we go back to Malaysia. 🙂 We are making our own from now on … All the best with your school work. Hi lazychef, would ponding the pandan leaves enhance further the fragrace of the kaya? Phoebe: Glad your family loves this recipe! 😀 Thanks for the encouragements! cy: I think you meant pound? If it is so, yes, pounding the pandan leaves would help. If not, you can just bend the leaves back and forth at different areas so that the leaf ‘breaks’ and it would also release the essence. Had made my first attempt and I noticed there was some egg white in it. Perhaps I did not whisk the egg thoroughly enough. Or is it something else? Also, if i like to make double or triple the amount, do I just double or triple the ingredients’ amount? I’m using Kenwood BM250.. So glad I finally found this Kaya recipe using breadmaker. As coconut milk (santan) is not good for our health, can we substitute it with same quantity of evaporated milk? Thanks. Would the recipe work with this essence? Does anyone know where I can purchase pandan leaves in the US? I would have it shipped if I had to also. Any help would be appreciative. I friend in Malaysia offered to send me some kaya, but the shipping alone would make it way too expensive for me to afford. I have a slow cooker and a bread machine and would love to try to make this. Please DO NOT use evaporated milk! Kaya is a egg and coconut jam, so if you substitute the coconut milk, it would not be kaya anymore! 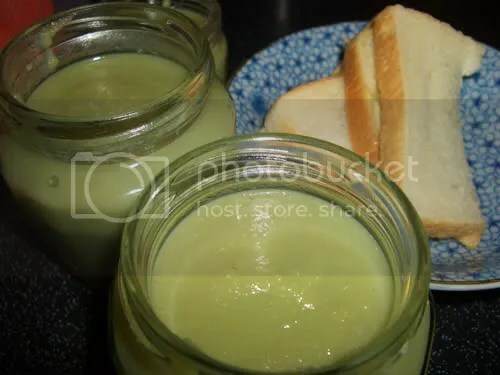 I have come across some sites where they use pandan essence to make kaya, but they often look rather artificial and I am worried that the taste would be affected too! I was studying in LA sometime back and I remember seeing pandan leaves being sold at the Asian supermarket. Perhaps you can source for a Asian store/Chinatown near your place and purchase them. If all else fails, I do not mind sending some fresh pandan leaves over to you, but I only worry that the pandan leaves may dry up slightly before it reaches you. I tried using evaporated milk yesterday. It turned out ok except that the pandan leaves could hardly cover the smell of egg. I’ll try again using blended pandan juice instead, thou the coconut milk version is still unbeatable. Can I double the recipe since the portion is small? Afterall, we have to take the trouble to wash the breadmaker & blender. Thank you thelazychef! There is Chinatown near downtown Chicago, about an hour from me! I will do some research to see if I can find pandan leaves somewhere there. Good idea! If all else fails, I may take you up on your offer to send me some. I will have no idea whether the partially dried leaves would make a difference since I have never tried Kaya before. I’m guessing it would still taste awesome by how good you all say it is! Im getting excited! Thank you! It is hard to get fresh pandan leaves even in the Asian Food markets. However, it is quite easy to get frozen pandan leaves. It works just as good! I am going to get my bluesky bread maker this afternoon, would really love the try out the kaya recipe. Your comments to Michele on 15 April 2007 quote “Anyway, I have a friend who has a Bluesky machine and she has tried this recipe before, so, I’ll double check for you! I’ll keep you posted via my blog! So check back soon!” Unquote. But I don’t think I have seen anything posted yet, is there anything I should watch out for when using bluesky bread maker making kaya, am I able to set the cooking time to an hour instead of the 3 hours that Michele has experienced? Thanks for your kaya recipe. Following your instructions, my kaya turned out pretty good. Can we use the light brown sugar or gula melaka ? Call it the beginner’s luck. I have never made kaya before, and when I first tried your recipe, the kaya turns out fabulous! Wanting to replicate this success and make for everyone in the family (mom, aunties), I tried making it again. For 3 times in a row, they became wet scrambed eggs after 1 hour. Just like you, I have a Kenwood (BM350). I set to Jam function (can’t go anymore wrong with this) but I have not succeeded in another batch of Jam. You seem to be using the exact recipe that i am using, blender and all. Although mine turns out well in terms of taste and fragrance, I can’t help but feel that it is not as smooth as those we buy. The texture is a little rough and after about a week in the refrigerator, it resembles something like wasabi (the Japanese horseradish). Do you have any suggestion to rectify this? You can use brown sugar, just that the resultant kaya would be more brownish. 🙂 Taste wise, it should be pretty similar, though the brown sugar may result in a lighter pandan taste. Gula melaka can be used too, but I prefer a pandan flavoured kaya to the nonya style kaya(which is brown in colour). I understand what you mean, well, there was once when I blended the kaya longer and found that it made it much smoother. So, if you like yours not too grainy, let it blend a little longer in the blender. Also, I think store bought kaya tend to have stabilisers and preservatives so the texture will not change much after being kept for a period of time. Hi. We live in Australia. I love kaya. I like to try out your kaya. But there are few things that i’m not too sure about. 2. Your measurement cup? Is 1 cup = 250ml? Or just with our normal drinking cup? Hello Rachel. This is my first time at your blog, lurve it. I plan to make kaya sometime soon, but I don’t really like the taste of pandan. Can I opt out the pandan leaves? Will it make any difference to the kaya. Thanks Rachel. Yup! I love kaya too! Well, a breadmaker is basically a machine that is used to make bread! It is very useful as all you need to do is to dump all the ingredients into the machine and it will knead, rise and bake the bread for you! Its really easy to use! Nowadays, most breadmakers have the Jam function, which allows people to cook their jams. Just put the ingredients all inside and it will cook it for you! To get a better idea, type ‘breadmaker’ in Google, I’m sure you can find lots of explanations and examples of breadmakers. Yup, 1 cup is equivalent to 250ml. In cooking/baking, we use precise measurement cups and not the normal drinking cups. 🙂 Hope it helps! Hi Lazychef. Been making Kaya every few weeks since discoverir method – fantastic. Only thing is, Pandan leaf not always available where I live (Cambridge UK). I was wondering, if I make the Kaya in large quantities (when pandan leaf is available), do you think it is OK to freeze it? I’m going to try making kaya for the first time in my life! I wanted to make kaya myself because my previous maid was able to do it on her own and blessed the whole family with tasty kaya. Now that she’s gone, I have to settle for ‘Glory’ kaya. I’m determined to try it out. Just bought a Zo*****shi (can’t remember how to spell this brand) breadmaker yesterday. Hope it’ll turn out well! If I cook it on stove, how long should it take? And, how to tell when it’s ready? I made kaya when I was living in M’sia. I used two deep pots, one small and one big. The small pot was placed in the big pot with a towel between the pot. Add water in the big pot before you put the small pot with the mixture. You need to judge that the water in the big pot does not flow to the small pot when it is boiling and the towel will reduce the boiling noise and direct heat to the small pot. . I used only medium or lower heat and a long wooden spoon for stirring. If the water in the big pot was low , I added more but make sure it did not flow over. Normally it takes about 45 minutes or 1 hr to cook. The first 1/2 hr you may need to stir often. The mixture is very smooth and more golden color if you use some duck eggs, I prefer to use chicken eggs as it is easier to buy .Both brown and green taste good to me especially on toasted roti. Matthew: I have not tried freezing it, so I am not too sure. Ellen: Yes, you can use Pandan essence, however, the colour would be of a brighter green shade. It should take about an hour and half to 2 hours on the stove. Hi Lazychef, can i gave the proportion in grams? I dun hv measuring cup at home leh. Another thing is, must i whisk the egg & sugar b4 cook? must i sift the egg mixture thru sieve b4 cook also? if i wan to blend the pandan leave into juice, must i increase the portion of any ingredient? I’m using double boil over stove…sorry for so many question. Brilliant! I have just made some Kaya in the breadmaker as you have suggested and it has turned out really well. I didn’t have any Pandan leaves but i cheated and used some Kaya flavouring I had previously bought. I would have never thought of making Kaya this way but I am really glad I found your page! I will try out some of your other recipes now too! Thanks again. Thanks for the recipe. I have one question. Do you have any idea how long can I get keep kaya in normal container no sterilize? I normally try to finish the kaya within the month (if it lasts that long!) and keep it in the fridge so that it remains fresh! Hi Kelvin here, I mastered your kaya and taught my mom haha… you can make black sugar kaya too.. Btw I just setup my shop in Taiwan selling 肉骨茶 and nasi lemak… and will be selling kaya bread too . 🙂 Do you know how long I can keep the kaya in the fridge for, will it spoil after sometime? Hey, I’ve misplaced my bluesky breadmaker receipes and manual…Do you happen to have it? Thanks for your kaya recipe. It’s so detailed…. I read every single note you gave. Thanks alot! hi there, i tasted kaya on toast in manila, from a singaporean kopi shop, it was lovely and it was too sweet,green and new and it took my heart away. now for more than a year and a half i have been away from home and here in UAE they dont have these regional specialties,so thank you for this detailed recipe now i’ll make it at home, ure my hero. life here is lonely-for me- food is a comfort. anyway can you please email me this recipe, would you happen to know ho to make the kopi bun wc has a layer of coffee flavored crust, standard bread with the butter inside, my family loves these singaporean sweet treats. thank you very much, im azoncrimson@yahoo.com God bless the cheerful, happy cook,more power to you. I like to make kaya but it always curd and like scramble eggs. Can you tell the reason why????? hi, i just tried the kaya…just want to say that mine was also like scrambled eggs but i put it in the blender and it ended up like yours in the picture..:)…hmm, do u know how i can make it thicker? Sorry I do not have the kopi bun recipe! After the cooking process, I normally find that there would be alot of water content (sugar water actually), I will drain out all the water to prevent the kaya from bring too watery, and in the process, my kaya would be thicker. Hope it helps! can i check if i can double the quantity or do i have to make batch by batch? 3-4eggs(if the egg is small! ), 3/4 bowl of sugar(divide into 2 portions), 1 coconut(squeeze directly, no water adding),pandan juice(cut,pound for it’s juice, can add 2 tablespoon water to get more juice out, it’s optional if no pandan leave to get anywhere). Method: mix the 1/2 portion sugar to eggs, mix well till sugar dissolve,add in the santan, just lightly stir well(all r without fire heating! ), get a small pot, pour the bal sugar, use a spatula keep stiring until the sugar become caramel, note: fire must be real slow!When forming liquid caramel, pour in the previous mixture, keep on stirring slowly until all the mixture forming a caramel colour, it takes about 1hr for me to make the kaya formiing thick texture, done. 3/4 or less sugar will not be so sweet, I used 1bowl and it’s real too sweet. Thank you Mimi for helping me recall how it used to be done… by my mom at least. Those were days before bread makers (home type anyway : ) . My mom used to make lovely kayas and the method used was what you have just brought up. It has been such a long time ago (am 65 now) and I could not recall the details until your receipt above. I am also pleasantly surprised by the amount of interest generated over the years on this blog! Hey lazychef, thanks for posting this! (LOL, no matter how long ago!) My kaya turned out curdy and all, and I don’t have a blender, and I think I know what went wrong (this will teach me to read comments first!!) – I cooked the kaya at a high heat when it should have been a lower heat. (I’m using a double saucepan type deal, mainly for steaming dumplings, but eh.) But next time I’ll be prepared!! Dear lazychef, I just chance upon your wonderful blog, and want to thank you for the very clear instructions in this kaya recipe, especially the part about the need to blend. I have seen other kaya recipes using breadmaker, but they did not mentioned about the need to blend after the breadmaker has done cooking. Like what you mentioned, the end product using the breadmaker certainly did not look in the least bit like kaya. I would have deemed it a failure and thrown it away at that point. if not for your instructions to blend. The kaya was super smooth and creamy after blending, just like those from Killiney and Ya Kun which I used to buy on a regular basis. I agree with some of the other readers that 1 cup sugar is still too sweet, and will reduce to 3/4cup the next time. I substituted 1/4 cup of the white sugar for light brown sugar, and it turned out with a very nice fragrance and color. This is easier than trying to caramelize the white sugar. Thank you so much for sharing this wonderful recipe. Now I can enjoy homemade kaya without all the addictives AND minus all the hard work of the traditional way of making. You are my hero. Hi lazychef. My breadmaker doesn’t have a jam making function. How can I make Nonya Kaya with my breakmaker? I have never made Nonya Kaya before. My late Nonya grandmom told me she added a little bit of Vanilla essence into her Nonya Kaya. My mom who is Nonya has made it before. She said she whisks a stalk of lemon grass in the mixture. (Singapore). You ‘re a genius, lazychef. Just the kind of person I like. Thanks for this kaya recipe. Was wondering whether can use my Kenwood BM250 for it when I chanced upon this. Thanks again Will try very soon. My sons and hubby love kaya but I’m lazy like you…always looking for easy method. And that’s why I bought my breadmaker 2 days ago…so easy to make bread. Hi, im just wondering what is the shelf life for a kaya .. if the same is not placed in a fridge… is there any way we can prolonged it? hi there,am wondering,do you use thick or light coconut milk? and if i want to caramelised the sugar..so should i do it? Thank you for the recipe. I used canned coconut milk and pandan extract I got from the store. I caramelized 1/4 sugar over the stove, than added the egg/coconut/0.5 cup of sugar mixture to the caramelized sugar. It turned lumpy and I thought “Oh no. What did I do wrong? Did I stirred with the wrong hand or what?” The blending did the magic and it turned out great! I had a slice of toast with butter and kaya for dinner immediately. 🙂 Thanks again for the recipe. Now I can walk pass kaya on the shelf without looking back. When u say 1 cup of sugar, are you referring to our normal drinking cup? oooh thank you so much for this!! I must try it, can you tell me the stove top version? thank you!! Which brand of the breadmaker are you using? Me thinking of buying 1, but don know which one is good. Can u give me the recipe for making bread in the breadmaker machine. My breadmaker machine bread turn out to be soggy. could you let me know how long the shelflife of this homemade kaya is? Thanks for the recipe, I love it…. Thanks for the recipe. I want to make a big batch of Kaya. How much can I make in the bread maker. Could I triple the recipe? Hi! The kaya product looks really nice. Would like to try making it, but i do not have a breadmaker. May i know how do i cook it using either the slowcooker or on the stove? About how long would it have to eat it each respectively? And how would i know when it is cook, and how long do i have to keep stiring? Do i just pour all four ingredient onto the stove pan and cook? Must the ingredients be at room temperature before putting it inside the stove pan? Is there a way to substitute egg with another ingredient? how about if the kaya changed into lump? so…can u tell me which 1 breadmaker is better????txs…. Any good easy tips on how to make croissants??? Glad your kaya turned out well! I love this recipe lots too! I have to confess that I have never made croissants from scratch before! Being typically the ‘lazychef’, I have been relying on my frozen butter puff pastry to make all my pastries. I normally get the butter puff pastry (not the normal plain type cos the butter one is more fragrant! ), cut them into triangles and roll it up, bend it into a crescent and bake! Easy peasy! Hope it helps! Thanks so much posting the kaya recipe using the breadmaker. It makes my life easier and fun making the kaya . Btw, I used the Tesco brand breadmaker which is reliable and cheap. Made bread and kaya successfully. coverage! Keep up the wonderful works guys I’ve included you guys to blogroll. What size bread maker did u use? I tried your Kaya recipe yesterday with my breadmaker. It turned out great. Everyone loves it. info on your site. Thanks for your time. Hi lazychef, Jus saw yr blog post. Am interested to make kaya with my breadmaker. Just before I get started, can I ask if you blend the pandan leaves as well? Thanks so much in advance!! Thanks for the recipe! I made this today and it was pretty sweet even though i used 3/4 cup sugar so would recommend to reduce it to 1/2 cup. Also i put my kaya in the fridge and it became kaya moosse! So very tasty though 😀 i used creamed coconut block so that’s probably why it set. Do you have any idea why does my mixture be splattered all over in the breadmaker? My jam functions take around 1hr 20 mins. In 2018 — Thank you for sharing 🙂 Love being able to control sugar and pandan lemakness level. Hello world! Welcome back to thelazychef! dumpster on Corny Cornflakes Cookies!!! Cereal Cookies | Coo… on Corny Cornflakes Cookies!! !